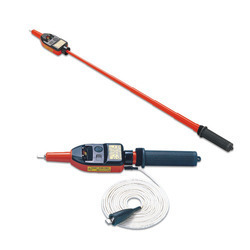 As per the variegated requirements of our clients, we are offering a broad range of High Voltage Detector. The detector offered by us is designed with contemporary techniques in accordance with the set standard of market. We offer this detector in diverse specifications and deliver within the promised time. Offered detector is tested in terms of quality in order to supply a defect free range. Non-Contact & Probe Contact EF-Detection. Automatic DCV, ACV, & Continuity Selection. Power Consumption (typical) : 3mA at power-on ready; 25mA at 1000VAC full LED indication. Type of Protection : IP65 - water and Dust Resistant. 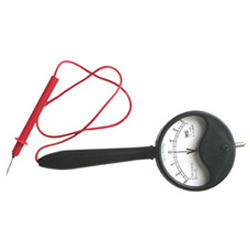 Looking for Voltage Tester ?